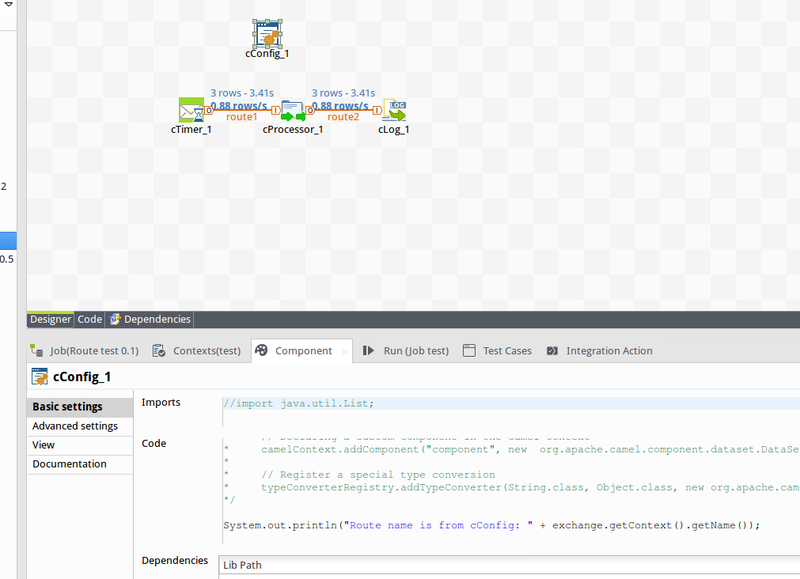 I am using Talend 6.2.1. I have a simple route, I would like this route to print out the name of the route itself. How can I get the name of the Route inside the program? What is the name of the variable I need to refer to get the name? The name of this route is "test". 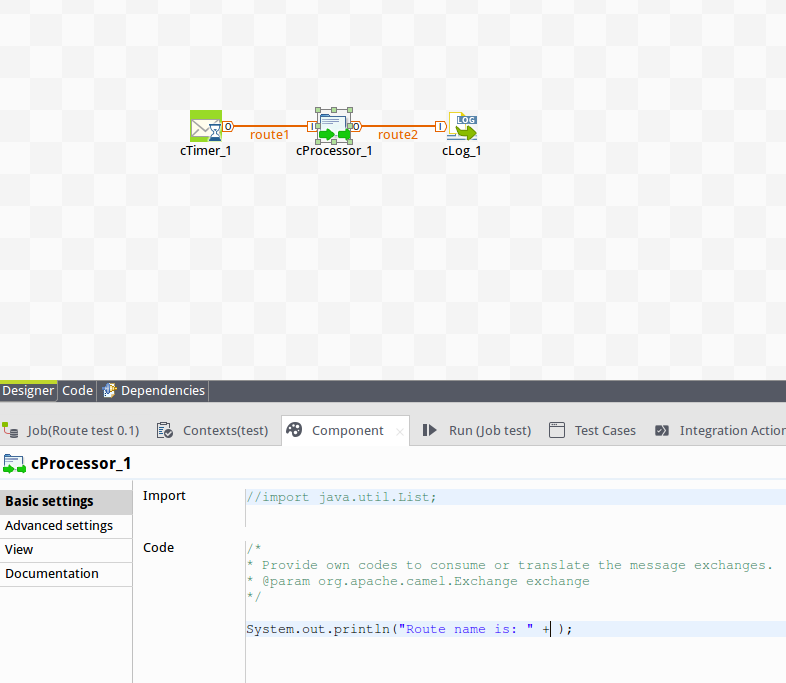 In Talend 5.5.1 to get the route name you had to refer to the "jobName" variable. This works, so the jobName(or something similar) is not working anymore? Routes are different to jobs. While context variables are shared you have to consider them very different beasts I am afraid. How can I get to the Route name from cConfig ? ?